In 2012, J.C. Penney stopped promoting sales and offering coupons. Instead, they advertised new "everyday low prices" -- which seems like a pretty good idea, right? Except, in 2012, sales for J. C. Penney actually dropped 25%. J.C. Penney found they actually made more money when they raised the prices of their products and then arbitrarily lowered them, calling these “last-minute deals.” People were more likely to buy when they felt like they were getting a special deal, instead of an "everyday low price." If you relate to Ms. Fobes’ discount thrill, you’re not alone. The rush of finding a deal can often entice shoppers to make more purchases. And, luckily for ecommerce sites, the psychology behind discounts doesn’t just exist for brick-and-mortar shops -- it extends to online shopping too with flash sales. A flash sale is a short-term discount or promotion on products offered by ecommerce stores, typically lasting for less than 24 hours. 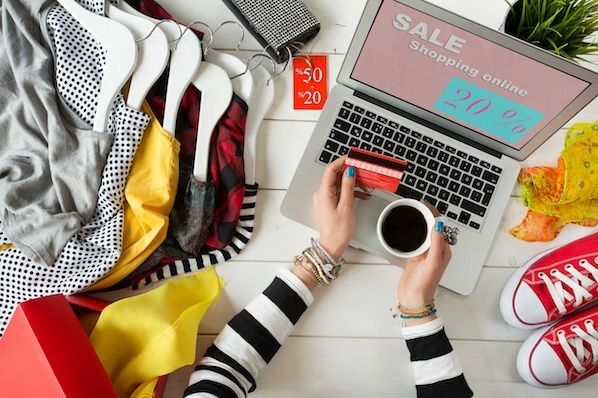 The goal of a flash sale is to entice online shoppers to impulse buy, increase brand awareness and customer loyalty, and compel shoppers to check out other non-sale products listed on the site. Flash sales generate an average 35% lift in transaction rates. 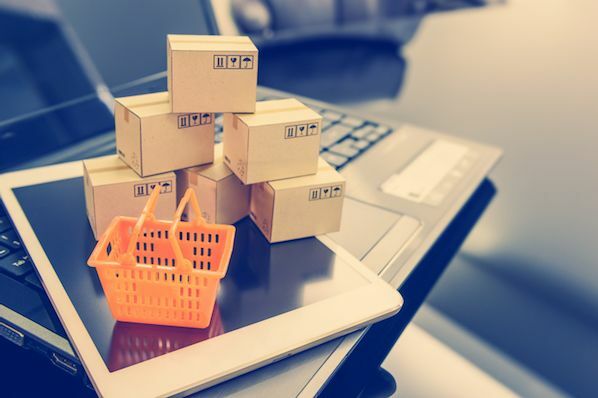 Along with increased revenue, flash sales can help your ecommerce business get rid of excess inventory and stabalize your existing inventory. Most importantly, flash sales often drive a large audience to your site and incentivize viewers to purchase non-sale products, as well. 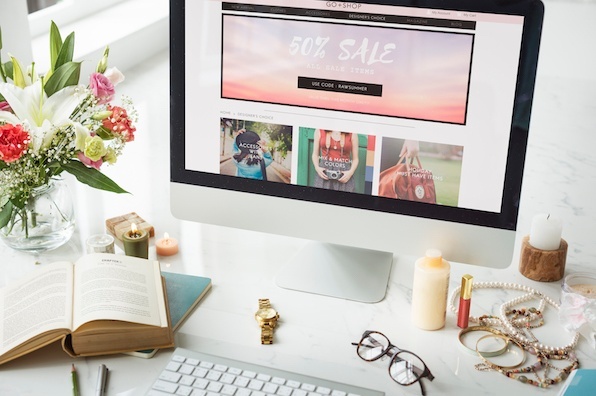 To feed your audience’s thrill-seeking appetite and grow your online presence, we’ve created a list of seven easy steps to run a flash sale, along with examples of successful ecommerce flash sales to kickstart your own strategy. Flash sales enable you to accomplish a bunch of different things, and focusing on a goal can help you measure your success. So let’s narrow it down: do you have excess quantity in one specific product that isn’t selling? Do you want to stabalize your inventory by encouraging buyers to focus on different products? 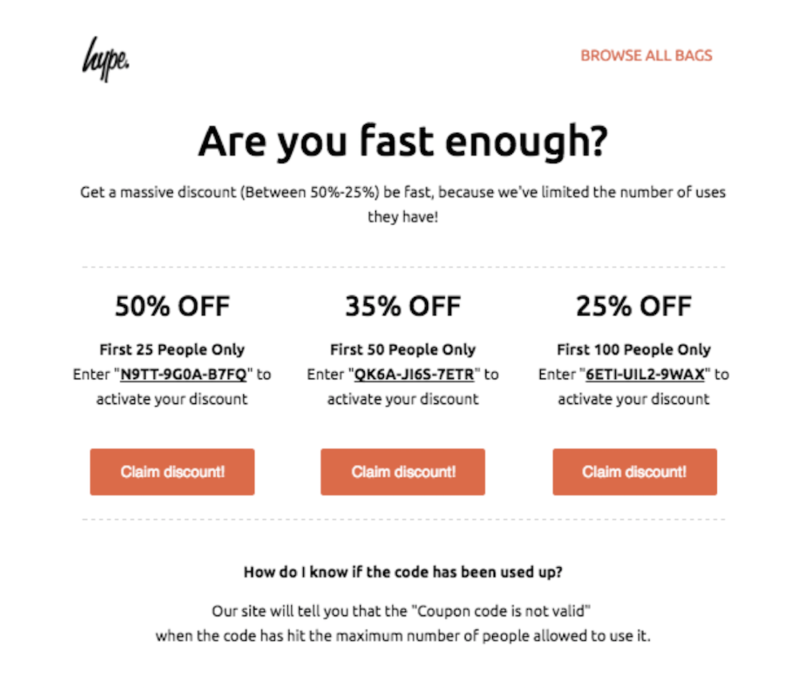 Or, do you want to escalate traffic to your site by providing a discount on a high-quality product? Focusing on a goal can help you pick which products you want to use for the flash sale. While this might seem like a contradiction to step one, it’s important to note you can’t just choose any product you want to get rid of -- the product you choose must align closely with your target audience. If you want long-term customers, you need to put a discount on products that encourage the right people to click on your site. People like to do research and read reviews on products ahead of time, so it’s wise to give your shoppers a heads up before your flash sale is live. This is also a chance to broaden your reach on social media and through email by creating fun countdown emails and social media posts. It’s critical that your discount stand out: saving $5 on a $100 purchase probably won’t attract as much attention as you want, so consider how to phrase your offer for optimal reach. There are two different directions you can take with your wording: “Get $$ off,” which emphasizes achieving a gain, and “Save $$,” which emphasizes avoiding a loss. While this depends on your target audience, in general, people are more motivated to avoid pain, and missing out on a good discount definitely feels like pain. The reason a flash sale works is because it spurs impulse purchases and, to quote Ms. Fobes, a “rush.” Make your audience feel the pressure: Three-hour flash sales have the highest transaction rates at 14%, and ideally, your flash sale won’t exceed 24 hours. To get the most out of your flash sale, make sure you have enough of your discount products in stock. Use a logistics company to determine how much you’ll need. You don’t want to sell out of the discount product too early, leaving people with a negative experience of your brand. It will be hard to retain your newfound customers’ loyalty if it takes a month for them to receive the products they purchased. 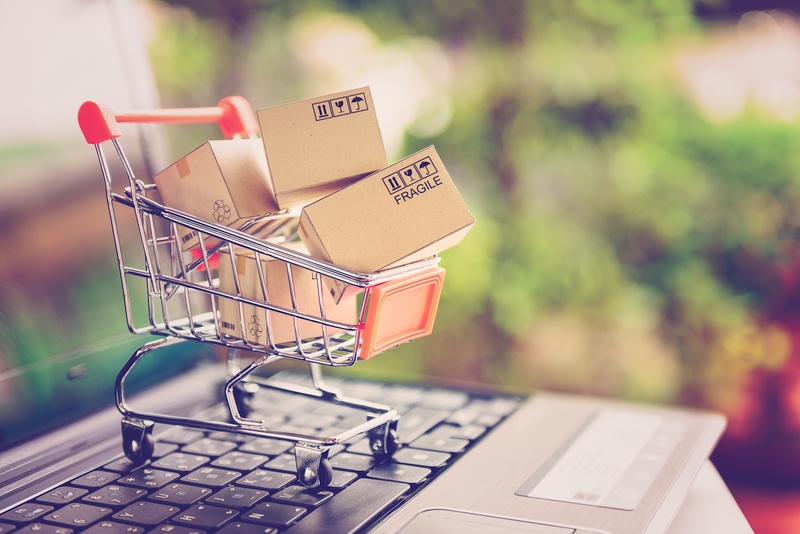 In today’s ecommerce world, where same-day and next-day shipping are typically expected, you’ll want to prepare ahead of time for mass shipping and delivery so you can offer a seamless experience, start to finish. This flash sale works because J. Crew ties it into a very specific, niche audience: people who sail. 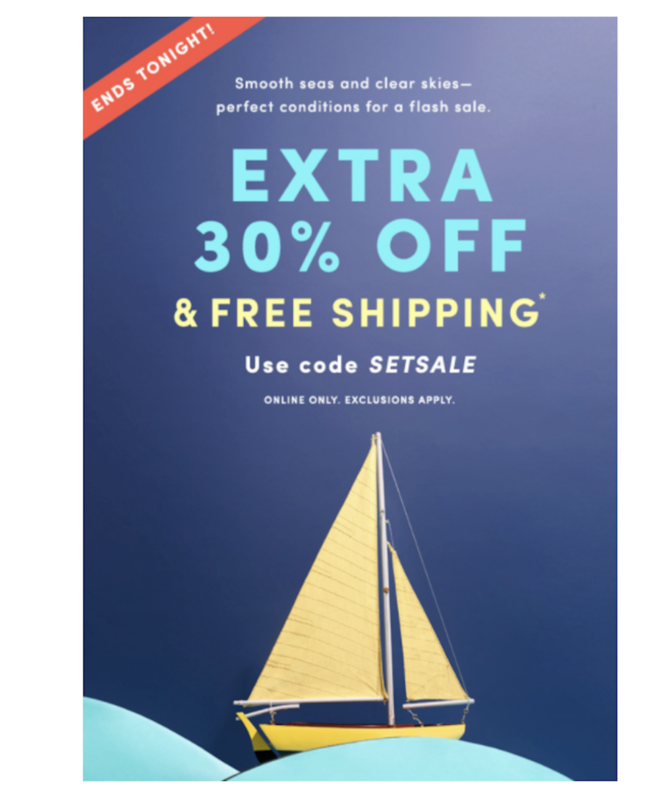 If you’re into sailing, this flash sale will incentivize you to check out J. Crew’s discount sailing clothes. It’s a smaller audience, but it’s also more likely to be an engaged one. This flash sale works because of its mystery component. 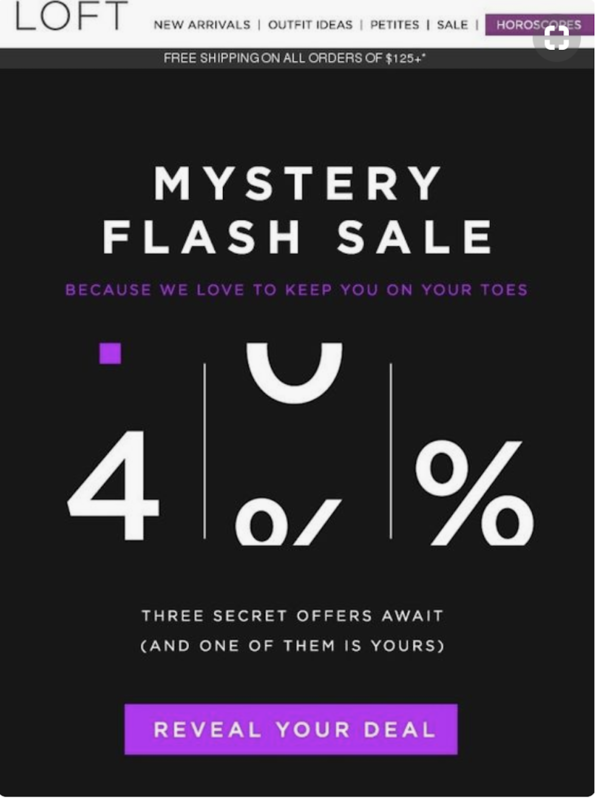 The bright purple call-to-action button compulses buyers to click to find out how much of a deal they’ll get, and more than likely, once they see what they’ve “won,” they’ll check out Loft’s products to use their discount. By offering discount tiers -- the earlier you claim your discount, the more money you save -- Hype supplies an intense feeling of urgency (Oh, will I be one of the first? Let’s try!). Making your flash sale feel like a competitive game can be very effective. Auchan Retail, a French international retail company, shows multiple children in their flash sale advertisement, indicating there will be a lot of items for sale. This flash sale encourages online shoppers to check out all the products they could get half-off. 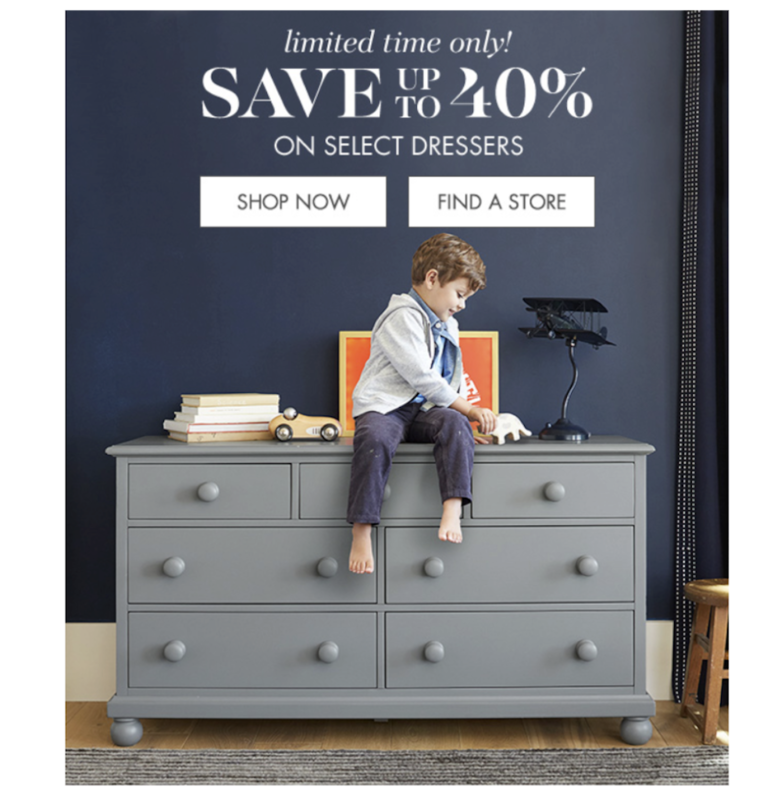 This flash sale uses the wording “select dressers,” to increase the desire to click to find out which dressers Pottery Barn means (What if I happen to love one of the discount dressers? I should check, just in case). It also shows an adorable boy sitting on a dresser, inspiring the viewer to imagine their own child using this dresser. 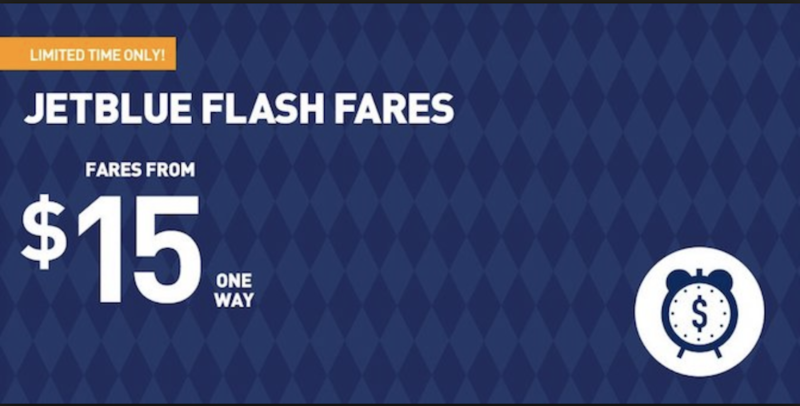 When I see this offer, I’m so shocked by the great deal I don’t even worry about where the discount one-way ticket is sending me. The low $15 offer probably isn’t a flight to Paris, but it draws viewer’s attention and provides that much needed rush of thinking, Wait, where can I fly for less than $20? I love to travel, might as well check it out!